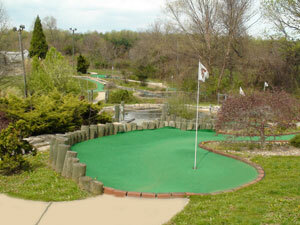 Lost Falls miniature Golf Course was built in 1999. 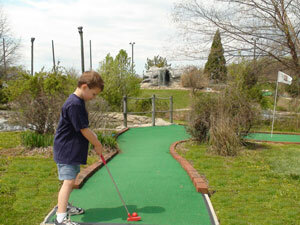 Both children and adults enjoy this fun and challenging course. It has quickly become a family favorite in the Hereford area. Lost Falls has two ponds, and a stream meanders through the beautifully landscaped property. A large "cave" has become a signature feature of this little links. A shaded grove area with benches and chairs is available for family picnics, birthday parties, and any other type of group outing. Please call us to schedule your next festive occasion.